We spend so much time analyzing our own sun signs that we may not realize the benefits of examining other people’s — including those of our children. Believe it or not, your child’s zodiac sign may inform how they will behave…and maybe more importantly, misbehave. 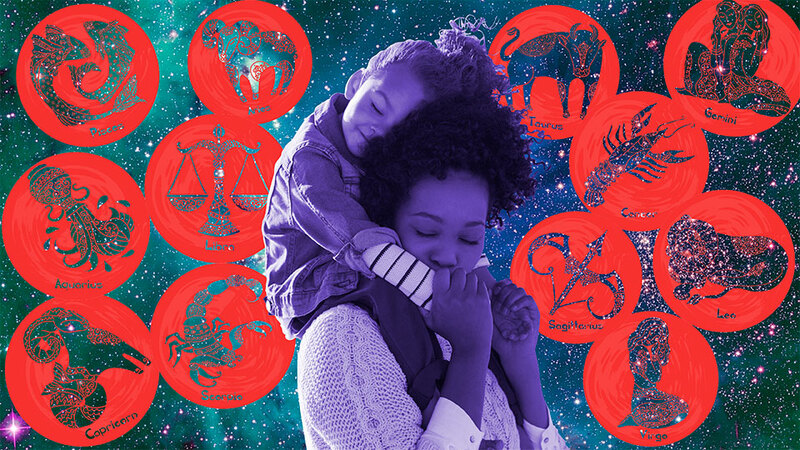 We’ve outlined exactly what kind of negative behavior you may experience with your child, based on the Zodiac. Mothers of Pisces, beware! Little (and big) Capricorns can be pretty negative by nature. So what comes off as cynicism as an adult appears to be more complaining and whining as a child, which probably just means you don’t want to take them with you to the grocery store. Have fun! If you have an Aquarius child, you may have to work to control their sense of humor. While sarcasm can be comical at times, it may cause animosity with siblings or other children at school and at daycare. A Pisces child will experience extreme mood swings, and they can be slightly dramatic. They’re also great at holding grudges, so parents may need to work through conflicts in a more direct way with their Pisces child. A little Aries may get impatient and may also have trouble sharing. But they’re quick learners, and they aim to please, meaning parents can easily work with their child to eliminate this bad behavior before it persists into adulthood. If you have a Taurus, beware of their tendency to argue. These little guys aren’t afraid to play devil’s advocate. Oh, and they’re stubborn. Try to turn their love for debate into healthy and informative conversations. Gemini children may be the sneakiest of all the zodiac signs. Geminis are stereotypically devious, meaning they’ll probably find ways to stay up past bedtime or get out of doing their weekly chores. Cancer children will experience mood swings, usually deriving from the pressure of wanting to please everyone around them. Parents can limit this unpredictability by helping them process their emotions in a healthy way. A Leo child is similar to a Leo adult in that they can be incredibly lazy at times. That means you may have to repeat your instructions several times before they actually take any action. Virgo children grow accustomed to following a schedule, and they tend to not respond well when that schedule is altered unexpectedly. If a previously scheduled after school activity goes awry, watch out for a potential tantrum. A Libra child will need a little extra reminder for almost everything. Not because they are lazy, but because they are forgetful and slightly detached from reality at times. A Scorpio child will keep you on your toes, solely because they may be plotting revenge for that time-out you gave them yesterday. They can be stubborn, and do not do well with what they deem to be unfair treatment. A Sagittarius child will almost refuse to tell you how they are feeling. They tend to dodge any kind of confrontation simply by ignoring their own emotions, which means you may have to pry a little to get them to talk.